Laundry is one of those necessary household chores that we all must do. 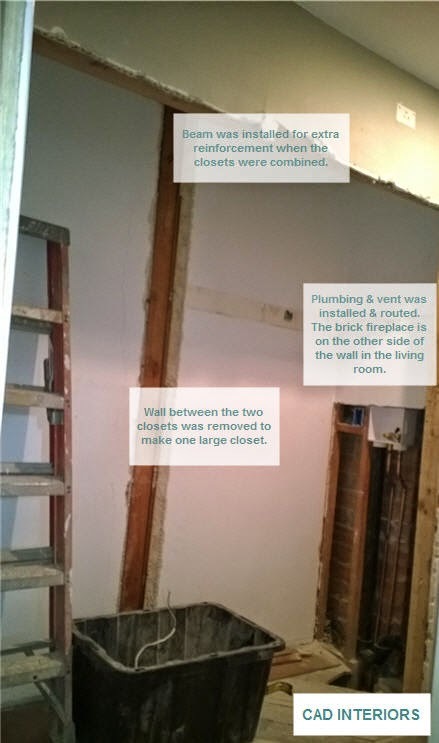 In addition to the main bathroom remodel, phase two of our home renovation includes "building" an inside laundry area. Yes folks, our laundry is inconveniently currently located in the garage...which is not accessible from the inside of the house! When we purchased the house just over a year ago, one of our top priorities was to bring the laundry indoors. We had scoped out potential spaces during our initial house tour. :) We had an idea of where we wanted to put the washer and dryer. The only issue was making sure the laundry unit dimensions (specifically the depth) would work in the space. We ultimately worked out a plan with our contractor to fabricate a laundry area in our targeted space: the hallway closet area. It's a functional location since it runs along the "bedroom side" of the house. It also happens to be located directly across the main bathroom that is currently under construction. One side of our house is a complete construction zone! 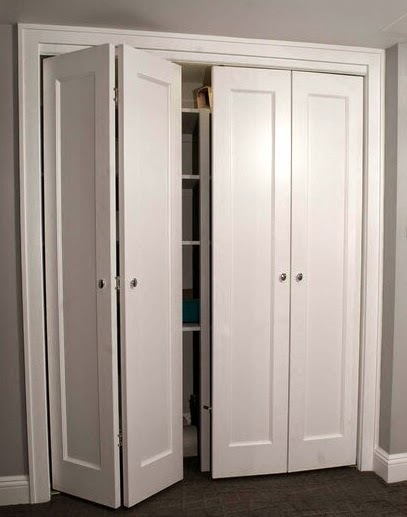 We are combining two small hallway closets into one large closet. 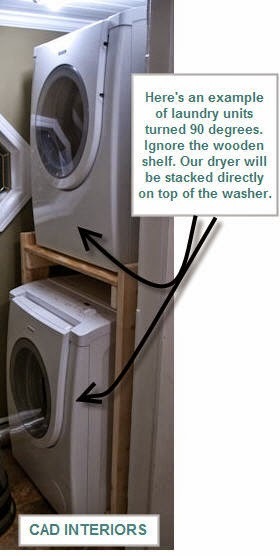 In order to maneuver around the depth concern, we decided to install a front-loading stackable washer and dryer, then turn them 90 degrees so the fronts don't face forward. We are essentially creating a "walk in" laundry space to circumvent the depth issue. We will sacrifice some storage space by going this route (since the closet isn't that wide either), but at the end of the day, just having the laundry inside the house will make things so much easier. No more schlepping around our dirty laundry! 1. We could use doors to close off the space. 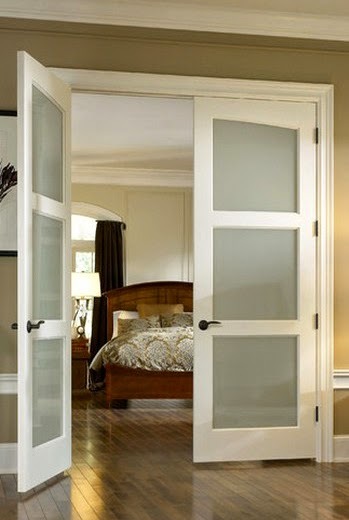 We prefer having doors for concealment and noise absorption (rather than a fabric covering). 2. 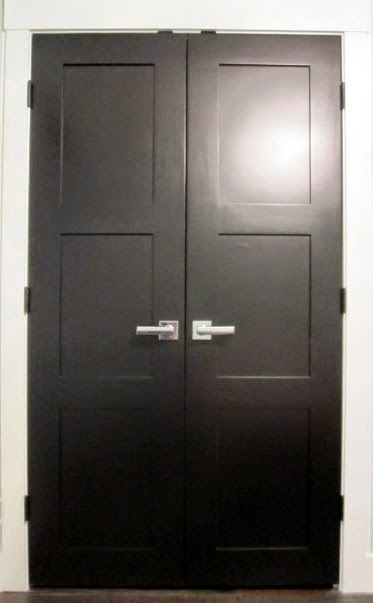 If the units were facing forward towards the hallway (either stackable or side-by-side units), we would've had to remove the existing door jambs/frames. 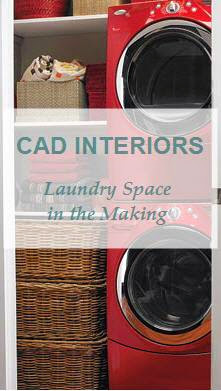 The laundry units would have exceeded the existing depth of the closets once installed. We tried going the barn door route (which I actually really wanted), but after measuring and re-measuring, there simply was not enough room for the hardware track to run the full length of the door to slide open. Following?! 3. We didn't want smaller, apartment-sized stackable laundry units. We have two growing boys who seem to accumulate laundry like no one's business! It would have been impractical and energy inefficient. 4. Staying within the existing footprint of the house was the most economical way to get the laundry inside.